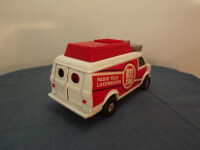 This model is the Corgi 1006-A-2 GMC Radio Roadshow Van in white and red Radio Tele Luxembourg livery. 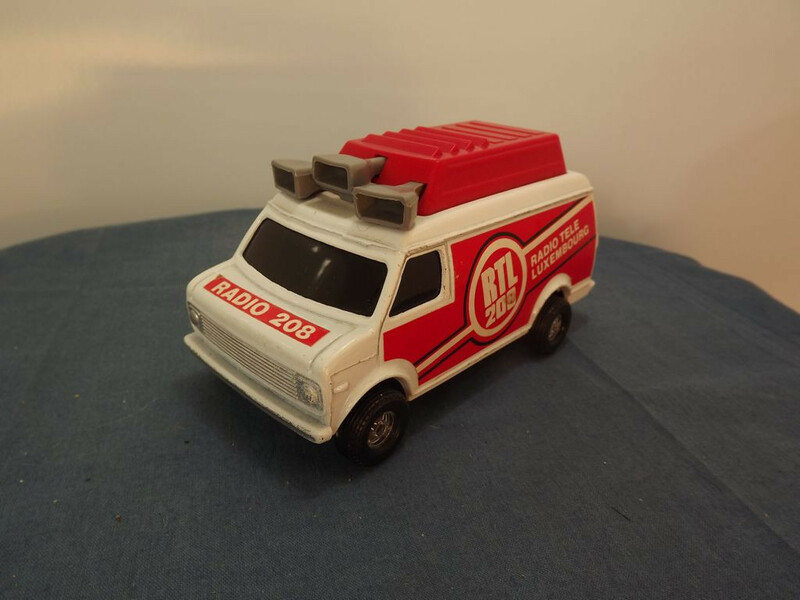 This model was released as a Corgitronics item with working AM radio. It was packed in a standard Corgitronics box of the period. 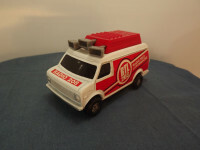 The model uses the same casting as the other GMC vans produced between 1977 and 1983 (423-b, 426-b, 431-b, 432-a, 433-b, 434-b, 435-b, 436-b, and 437-b). 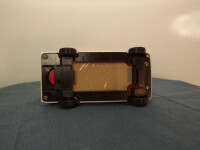 The model has no opening parts other than the rear doors and battery compartment. The front has a silver mask sprayed panel representing the grille and headlights. Across the bonnet is a red banner with white lettering that reads "Radio 208". Only limted features are cast into the body casting (indicators, bumpers, rear lights (red) and some rear body trim. The roof has a red plastic "Hi-top" with four open vents (to allow the sound out from the speaker). Protruding from the front of the roof are three grey plastic speaker horns. 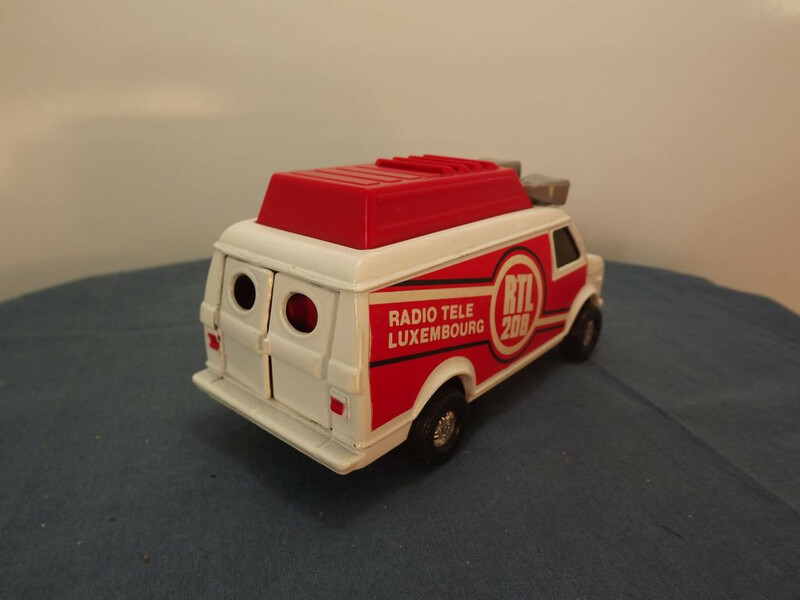 The sides of the model are enhanced by the application of decals, in red with white lettering that read "Radio Tele Luxembourg" to the rear and "RTL 208" on two lines inside a circle. There is no interior as it is designed to hold a standard 9v battery, the radio and its associated fittings. The glazing is black to obscure the interior. The rear doors open to reveal the tuning knob - the on/off/Volume switch is embedded in the base behind the rear axle. All wheels are single piece units with a central chrome 4 spoke hub insert and a black "tyre". 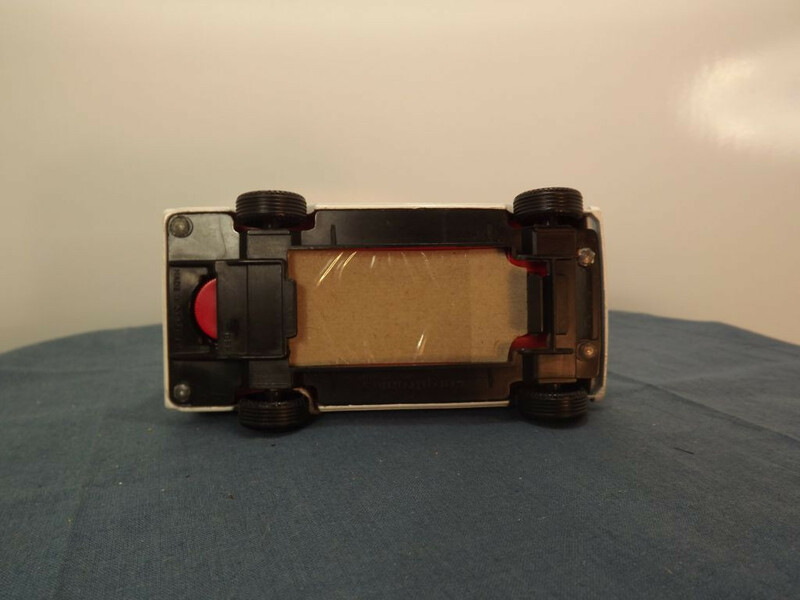 The base plate is black plastic and is marked with "Corgitronics™" above of the battery compartment lid (missing on this model) and a tiny Made in Gt. Britain at the rear, behind the rear axle housing. It is held in place with four machined rivets. This model was issued in May 1982 and deleted in 1983.